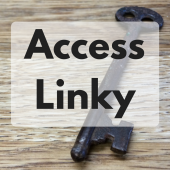 Welcome to the February 2018 #AccessLinky! 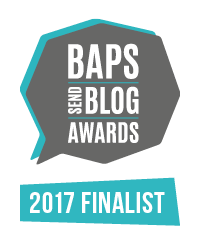 A blog link-up for sharing posts with ideas and experiences (good and bad!) about physical and/or sensory accessibility of buildings, places, spaces, products and/or activities! I’m not sure quite what’s happened to January, it seems that half term is almost upon us and I’m only just getting back into my routine after Christmas! 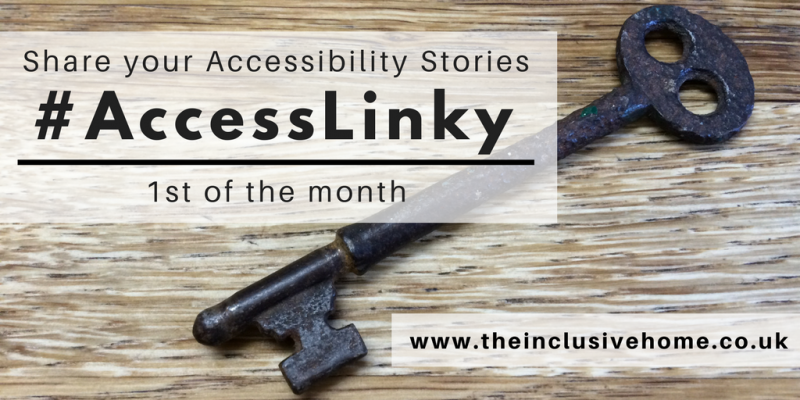 Last month’s linky was brilliant for the wide variety of posts linked up! Starting with one after my own heart… making accessible design stylish! Wheel Chic Home shared this review of a great new company with a mission to improve the choice of handrails and customiseable grab rails for people to be able to match their own home style. Provision of accessible toilets and the lack of awareness of the need for changing places toilets were a focus for this (you wouldn’t think you would have to state the obvious titled) post, My 7 year old disabled child is not a baby, by A Wheelie Great Adventure, and raising awareness in more light hearted way, Ordinary Hopes parodies the toddler book series by Usborne with That’s Not My Toilet! School provision is a huge challenge generally, but can be more of a battle for children with SEND (Special Educational Needs and/or Disabilities), and Rainbows are too Beautiful shared this enlightening (and saddening) post outlining why the Huge rise in SEND appeals is not a surprise. 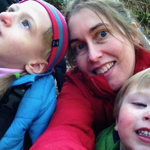 But on a happier note, Rainbows are too Beautiful also shared this lovely post about Getting our family out for activities, with focus on a fun family cycle ride in the forest! And finally, Wheelscapades gave a round up of her #WheelOfFact hashtag series! I somehow managed to miss this last year, but sounds like a brilliant series to join in with….. The linky will be open for 3 weeks! ….and don’t forget to check in again next month (1st of the month) to read the round up, and link up again!